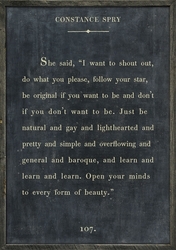 She said, "I want to shout out, do what you please, follow your star, be original if you want to be and don't if you don't want to be. 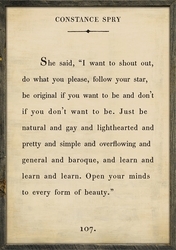 Just be natural and gay and lighthearted and pretty and simple and overflowing and general and baroque, and learn and learn and learn. 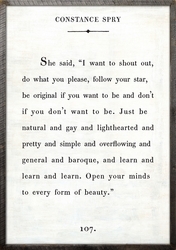 Open your minds to every form of beauty."